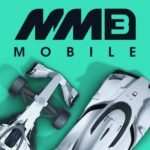 Motorsport Manager Mobile 3 is Playsport’s latest entry in the company’s racing management series for iOS devices, and while it is a paid title like its predecessor, it’s definitely worth the $3.99 price tag, and it’s bigger and better than ever before, with more leagues/championships, a ton of new features, and even more returning features that helped make this series one of the most realistic simulations of real-life auto racing, despite the lack of real-life teams and drivers. How fast can you make it from the lowest tier to the World Motorsport Championship? It’ll all depend on your ability to strategize in and out of the racetrack, may it be through pitting at the right time, using the Energy Recovery System (when applicable) in the smartest way possible, and hiring the right drivers, mechanics, and engineers for your team. We’ve already gone through the beginner tips and the intermediate tips in our exclusive Motorsport Manager Mobile 3 strategy guides. 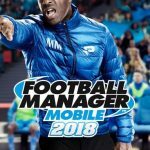 As we conclude our extensive series of tips and tricks, we shall now be heading to the end of the road, at least for this game — our Motorsport Manager Mobile 3 strategy guide for advanced players. Aside from including some odds and ends we failed to include in our previous Motorsport Manager Mobile 3 guides, we’ll be featuring a couple of driving tips, as well as a detailed look at the things you should do when moving from one season to the next. Not interested in spending Influence points on breaking the rules and creating better parts in a snap? You can still buy them by tapping on the Buy Parts button on the bottom section of the Build Parts menu. Once there, you will have a selection of supported parts which you can purchase for at least a few hundred thousand dollars, with the more powerful and reliable parts, of course, being more expensive. As usual, be careful when choosing this option early on in the current season, because you wouldn’t want to be short of money when time comes to develop the car for next season! There are a few new features under Buy Parts which have been introduced in Motorsport Manager Mobile 3. For one, you can now sort parts by the ones which are “ending soon,” or about to be taken off the market, the ones which have been newly added to the market, and the ones that are best in terms of Performance and Reliability. You can also buy Mods for your existing parts and assign them to any one of your drivers. These usually cost in the hundreds of thousands, and are rated in terms of rarity, with the best ones being of Epic rarity. These Mods improve a part’s Performance and Reliability stats, and buying them is often cheaper than purchasing a completely new part! Of course, you can save some money and choose to have your engineers build the parts themselves (with or without Influence to bend the rules), but if you’ve got a rather uninspiring team of engineers, you might as well shop around in the parts market and see if you could get yourself a good deal. In real-life racing, rain could throw the proverbial spanner in the works and ruin what could have been a potentially classic race. Top names may bow out of competition at some point in the race, and once the race is over, you may see a back-marker or two surprisingly finishing in the points. In Motorsport Manager Mobile 3, retirements aren’t that common when the rains are pouring down, but these weather disturbances could potentially throw you off if you’re not ready. One of the first things to keep in mind when it comes to rain is that the odds of a downpour will depend on the time of the year a race is taking place, as well as the location of the race. Apparently, Playsport has made things more realistic, as you probably won’t be seeing any rains pouring down if you’re racing in Phoenix, Arizona in the summer months. It helps to have a decent knowledge of world geography, but if you’re racing in Europe or North America, you can expect a better chance of rain than usual in the spring months, meaning March to May. Conversely, hotter, rain-free weather is expected around March to May in Asian racetracks, while rains are more likely than usual to fall around June to September. We’re still on the subject of rain, and as you may expect, there’s nothing to it if your qualifying session or race starts during a downpour — you should start with intermediates or rain tires, depending on the amount of water on the track. Inters are recommended if the bar on the lower left side of your screen that shows the water levels at around 10 to 60 percent, while rain tires are recommended if the water levels are at 60-65 percent or more. Things may get tricky, however, if it’s expected to rain at a given point in the race. We suggest paying close attention to the weather forecast the moment you notice that rains are expected in 30 minutes or less from the start of the race. It’s often a good idea to call for a pit stop once you see the track water bar filling up for the first time — you can then switch to inters until the rains stop, upon which you’ll need to change back to regular tires, or switch to rain tires if the rain keeps pouring down and filling the track with water. It really pays to be alert in such situations — don’t wait until the “Dilemma” window pops up, and schedule those pit stops before your drivers remind you why you have to! Unfortunately, we’ve noticed that cars that are performing beyond expectations are more likely to deteriorate faster than others — such intensity doesn’t come without a price, as it seems! Regardless of how your cars are performing on the racetrack, however, we suggest having them fixed in your next tire stop (hitting two birds with one stone) if their condition drops down to 40 percent or less. Again, this will cost you several seconds, but it’s certainly better than holding down a commanding lead, only to retire late in the race! Once you’ve completed your first season, you’ll go through the usual motions — you’ll be awarded your prize money based on your team’s position in your league/championship’s rankings, and prize money, if applicable, if your team or one of your drivers won Team or Driver of the Year. For these awards, the winner is the team and driver who outperformed their preseason expectations the most, and not necessarily the league’s champion team or driver. You will then move on to the Politics section, which is a new feature for Motorsport Manager Mobile 3. What does Politics entail when you’re ending a season and preparing to start a new one? Simply put, this feature gives you a chance to vote for or against proposed rule changes. Which parts will be supplied and which parts can you manufacture? Standard qualifying or reversed grids? How many safety cars? These are just some of the things you can vote on, and the game will explain whether the rule change can benefit slower or faster cars. If you feel a rule, such as reversed grids (more on them later), could affect your chances of doing well in the next season, feel free to vote against it, but don’t expect all the other teams to agree with you! Likewise, you can vote for a rule you approve of, but that doesn’t mean the other teams will also vote in the affirmative. You can also abstain, which will grant you some additional Influence points — this is a good option if you feel a rule won’t give you any evident advantage or disadvantage. At the end of each season, you’ll still have a chance to replace one or both of your drivers with someone new, and regardless whether you use your Influence to persuade an uninterested driver or simply choose someone from the pool of interested drivers, you’ll have to deal with the same pattern of contract negotiations. In Motorsport Manager Mobile 3, contract negotiation now specifies the different driver demands — do they want a short, long, or medium length contract? What’s more important to them, a high salary or a high signing bonus? Are they fine with being No. 2, or do they insist on being your team’s No. 1 driver? Keep these in mind as you go through contract negotiations, and make sure you’re striking a balance between offering a deal that won’t cost you much and one that will satisfy your target driver’s needs. There will be a cool-down period of several months if the driver loses patience and negotiations break down, and just as usual, some drivers may be more patient than others when it comes to talking contract. There will always be a driver or two who’ll stop giving you the time of day the moment they turn down your first offer! Depending on your championship, the end-of-season routine will now include choosing engine and/or parts suppliers, much like real-life Formula 1 teams, for instance, often choose the company who’ll be manufacturing their engines for the upcoming season. (Unless you’re Ferrari, of course.) In Motorsport Manager Mobile 3, you’ll be given a choice of three suppliers, with each company offering certain bonuses. For example, choosing Mersault as your engine supplier gives you a 10 percent boost in Reliability, 20 Influence points, and a Mechanical bonus, while choosing Shimizu will grant you Driveability, Mechanical, and Aero bonuses. For part suppliers, their ability to manufacture parts, such as your brakes or gearbox (or front splitter and spoiler for GT championships), is rated accordingly, with Excellent being the highest possible rating. The cost of choosing a part or engine supplier may also vary from company to company. It’s all up to you in most cases, and while choosing a cheaper supplier may often turn out to be a case of “you get what you pay for,” sometimes the most affordable company to work with might offer you the best overall package based on your needs. Before starting a new season, the last thing you’ll be asked to do is to choose whether you wish to take advantage of the New Driver Programme or not. This is highly recommended for those who are about to enter their second season and need to replace their low-upside second driver, though you can also take advantage of it if one of your drivers isn’t interested in re-signing or is aging, or if one of your drivers hasn’t developed as you had hoped. This applies regardless if you’re switching to a new league/type of racing or moving to a new tier or not, and if it’s your first time, you get a 90 percent discount. The cost may vary depending on your championship/tier, but you can’t beat that discount — take advantage of it while you can! After choosing the New Driver Programme, you’ll be asked to choose three drivers from a pool of more than ten, but before you select your three prospects, you’ll have to review their attributes and potential. For the latter stat, you’ll see two numbers under the Max Potential column — don’t get thrown off by this one, as the latter number of “100” simply refers to the perfect Potential score. So if you’re looking at someone whose Max Potential is 96/100, that means they are likely to top out with a rating of 96, which should be good for a five-star rating. There are different variables that could influence a driver’s maximum potential, and you’ll see them right beside the Max Potential column. Work Ethic refers to their desire to improve their skills and put in effort to get better, Stability refers to their tendency to stay on the straight and narrow…or do crazy stuff that teens like themselves typically get into, and Ego refers to how highly they see themselves; are they humble types who downplay their achievements, or are they braggarts who can’t stop talking about themselves and how good they are? Ideally, you want to hire someone via the New Driver Programme with a good Max Potential stat, high Work Ethic, high Stability, and low Ego. You’ll also see descriptions such as “Outsider,” “Inner City Kid,” “Honor Student,” and the like — these usually tie in with the drivers’ personalities (as defined by their Work Ethic, Stability, and Ego), but you can ignore them and simply look at their attributes. 9. When Should You Sign Someone From The New Driver Programme? As you progress through a season where you took advantage of the New Driver Programme, you’ll get weekly updates on each new driver, as they go through their development as drivers and as people alike. After each week, each update will either be positive or negative, with positive developments increasing their Potential, and negative ones decreasing it. For example, if your driver did well while racing RC cars or fell in love, that’s a good thing that could merit a 10-point increase in potential. But if they got arrested for drunk driving or got suspended from school, that could mean a decrease in potential that would make them less attractive to you once the season is over! Obviously, you should sign the driver with the most potential at the end of the Young Driver Programme, as they could end up as future stars for your team. Take note, however, that you can only choose one out of the three! Once you’ve chosen your driver, the other two will become free agents who could be signed by any other team at any time. Make sure you’re choosing wisely, because we’re talking about the future of your team with this feature! As you make your way from one championship to the next, you’ll notice a wide variety of rules for each championship, including the familiar ones, such as the ability to refuel your car (or lack thereof), which parts are supplied and which parts can be manufactured, and the length of typical races. Playsport added a few new wrinkles to the different championship rules with Motorsport Manager Mobile 3, but our least favorite, at least for the moment, is the Reverse Grid rule. This is a rule that can be used to increase parity in a championship, as it puts the better teams at the back of the grid and the worse teams in front, eliminating the need for qualifying sessions. As the game explains, this is a rule that could benefit teams with slower cars, but harm teams with better-performing cars — if you won the championship in your first season and your championship switches to reversed grids in the next, you might not be as lucky the second time around! 11. When Should You Move From One Tier To The Next? 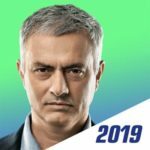 One reason why Motorsport Manager Mobile 3 stands out is the fact that it comes with a plethora of championships, instead of the mere three championships its predecessor came with. As such, you can choose to move laterally within the same tier, move up from your current tier to the next highest one, in the event you finished on top of your last league, or remain in the same championship/league, regardless whether you won it or not. Normally, we suggest racing at least one more season in the same championship after you won it, so as to ensure yourself of the best possible chances you’ll be fielding a competitive entry when you move up to the next tier. The Energy Recovery System (ERS) has frequently been cited as one of the top new features in Motorsport Manager Mobile 3, but how do you use it and why should you pay attention to it? For starters, ERS, which can be accessed on the left side of each driver’s panel during a race, is only available in certain championships, but when it is, it allows you to quickly switch to a super fuel-saving mode known as Hybrid, or go full throttle by switching to Power (the lightning icon) and trying to pass cars on long straights. This adds a new dynamic to the usual strategies of switching to a more aggressive driving style (which results in more tire wear) or burning more fuel to catch up or extend a lead, or driving conservatively and using less fuel. Each time you use Hybrid or Power, your ERS bar would go down from 100 percent all the way down to zero, upon which the bar would start refreshing itself at a slow, but steady pace. To keep things as simple as possible, you’ll want to switch to Power mode in ERS if you’ve got a good opportunity to pass several cars, usually in the straights. Using Hybrid mode, on the other hand, is best reserved for those times when you want to hang on to your lead and save yourself the trouble of having to pit for fuel and potentially drop back in the field at the most inopportune of times. As the ERS bar takes longer to use up and shorter to refill if you’ve got a slower or poorer performing car, this could give you more of a fighting chance to finish higher than expected!